This is the future for the leisure, home and camping / glamping market. 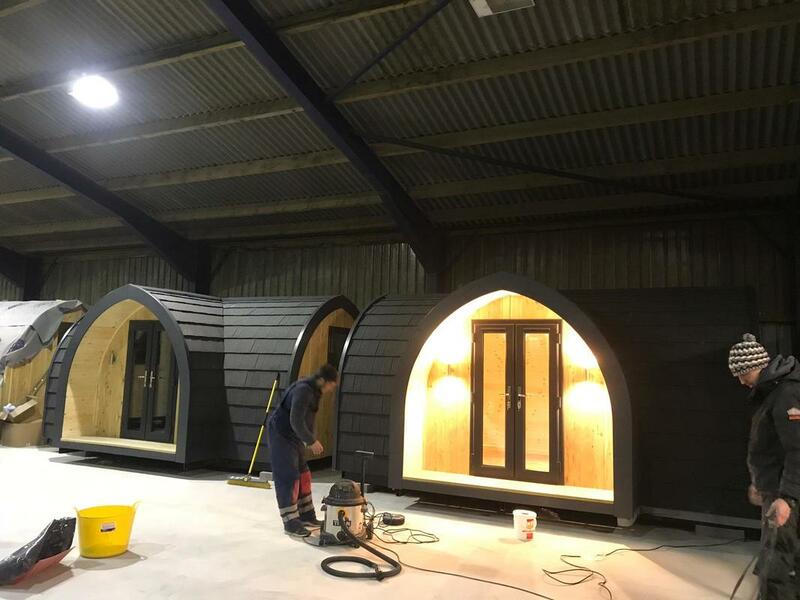 Our range of buildings are manufactured in the UK and Europe to traditional Eco or Arch designs; we have a selection of different buildings, from Sedum roof eco friendly building to beach chalets and camping pods, for use as garden offices, hotel accommodation or simple outdoor accommodation. A simple garden room, to a fully furnished luxury hotel complex. Height, width and length are configurable to meet your needs. Smaller pod versions are 2.4m high, while larger models reach 3.0m high. Choose your length, from 4m to 14.4m and beyond, just ask us. The roofing materials used to finish the structure are wide ranging and will suit your tastes and budget, whilst the interior can be fitted out by you to meet your needs. We can supply fully assembled garden rooms, camping cabins, studios and complexes in a style to meet your requirements. The smaller pods can now be delivered in containers world wide. We have 2 new Sunflower pod prototypes that are for factory clearance and offered at substantial discounts to normal prices. See Sunflower pod and ask for prototype sale model. Garden Rooms, Hotel Rooms, Camping Rooms all at a price and quality you will struggle to beat. Tranquility, with separate bedroom/bathing & kitchenette. Add to any of these, an outdoor dining space or sauna, hot tub or BBQ hut. It's a blank canvas waiting to be painted. All models are assembled ready for use, all you need to do is prepare the base and connect any services. All the external surfaces are weather proofed and the interior finishes are coated in an approved fire retardant. 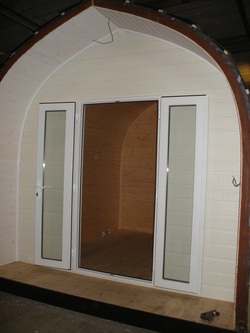 Latest addition to the range is our Glamping units, have a quick look, or see the new Country chalets. Glamorous camping is set to revolutionize the camping experience, we are able to provide a selection of camping accommodation which will meet everyone's idea of camping. Our range covers the simple camping pod to sophisticated Glamping, a 'wooden' Yurt, and a top of the range mini lodge called Le Chic, new for this year. All have year round rental potential and affordability starts at £4,250, through to just under £110,000. Our leasing options make this an incredibly attractive package, especially with a resurgence of UK holiday attractions. Our Leisure range of rooms deliver a place to stay with home comforts. They come as single units or as a much larger multi-unit complex, the choice is yours. We have various designs which can be modified to meet your precise needs. Design options include toilet, small kitchen, separate bedroom and open lounge area. Each can be delivered fully furnished and accessorised or interior designed by you. Various sizes and room layouts are available. The insulation, electrics and plumbing are built in so are ready to use after installation. Extra rooms are always useful, whether it is a multi purpose garden room or simple camping accommodation this might be your answer. Fully insulated and secure with optional electrics it provides an extra usable room for your home or accommodation to rent for your leisure or glamping business. Finished in long life softwood and tiled on the roof with 20, 30 or 40 year guarantees. No expensive long term building work, they can be erected in a day. We extend the design to provide luxury lodge style living accommodation for a change of lifestyle. 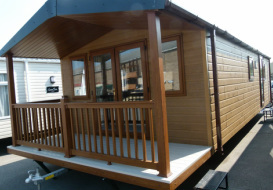 It can be sited as a park home or at your chosen location. We have a range of living rooms, ranging from log cabins to sophisticated Arch style lodges. Fully equipped and designed with separate sleeping, bathing and living quarters. Furnished throughout with quality fittings. Optional upgrades to a bespoke design and finish are available. The Arch-House partners and contacts command over 25 years experience in the Leisure industry, whilst our specially chosen manufacturers management team have collectively accumulated 30 years experience in construction and timber engineering. Our industry knowledge and our desire to deliver our customers a top quality product mean you can trust your requirements with us and be confident we will deliver a product that meets or exceeds your expectations.